According to The Guardian, the headlines were as stark as they were shocking: Mexico is the second-deadliest country in the world. According to an annual survey by the International Institute for Strategic Studies (IISS), Mexico in 2016 was more violent than war zones such as Afghanistan or Yemen, with a death toll surpassed only by that of Syria. The study was widely reported, and even Donald Trump – who has often used America’s southern neighbour as a political punching bag – retweeted a link to a CNN article on the report. 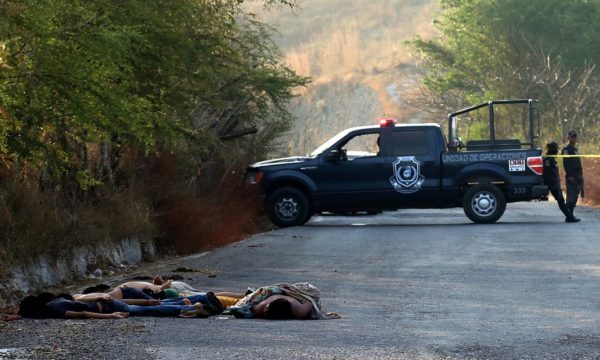 But the report landed with a thud in Mexico, where the government has been trying to improve the country’s international image amid a decade of drug-war violence. “Mexico is far from being one of the most violent countries in the world,” the foreign and interior ministries said in a testy joint statement, which pointed out that according to UN figures, the country’s homicide rate of 16.4 murders per 100,000 residents was significantly lower than several other Latin American countries, including Brazil (25.2 murders per 100,000 residents), Venezuela (53.7 murders per 100,000 residents) and Honduras (90.4 murders per 100,000 residents). Parts of Mexico have suffered horrific violence since the then president, Felipe Calderón, declared war on organized crime a decade ago. That struggle has claimed an estimated 200,000 lives and left more than 30,000 missing. But large swathes of the country are unaffected by drug violence, (tourism visits grew by a healthy 9% in 2016), and the suggestion that Mexico was comparable to Syria – now in its sixth year of war – infuriated Mexicans. Many argue that the the country’s violence is fueled by US demand for illegal drugs and the black market in American firearms – neither of which are likely to be stopped by a border wall such as that proposed by Trump. Trump’s apparent endorsement of the study only added to the angry reaction in Mexico. “I hope these morons are happy. Their idiotic report was already retweeted by @realDonald Trump,” tweeted Alejandro Hope, a Mexican security analyst. Mexico has killed or captured dozens of drug bosses – such as Joaquín “El Chapo” Guzmán, who was extradited to the United States on the eve of Trump’s inauguration. Law enforcement tactics have succeeded in breaking up some cartels, in turn unleashing further violence as new crime bosses squabble for control. According to the IISS, the bloodletting is comparable to that of a civil war. “It is very rare for criminal violence to reach a level akin to armed conflict. But this has happened in the Northern Triangle of Central America (Honduras, Guatemala and El Salvador) and, especially, Mexico,” the IISS report said. “The first two months of 2017 were the most violent January and February on record, with 3,779 homicide cases registered by the authorities,” the report said, adding that the more than 35,000 displaced persons, state weakness and corruption and increased militarization of gangs “illustrate how Mexico’s violence has reached a level akin to armed conflicts”. But analysts in Mexico cast doubt on the IISS methodology and questioned why the country was singled out in the ensuing coverage. “I have to ask myself if Brazil had declared war on organized crime – since Brazil has registered 50,000 homicides – would IISS include it in their study?” asked Jorge Kawas, a Mexican security analyst. Latin American cities regularly occupy the lists of the world’s most murderous municipalities – along with some US cities such as St. Louis, Baltimore and Detroit. “Estimates are fuzzy, but probably half of Mexican homicides are not related to drug trafficking,” Long said.